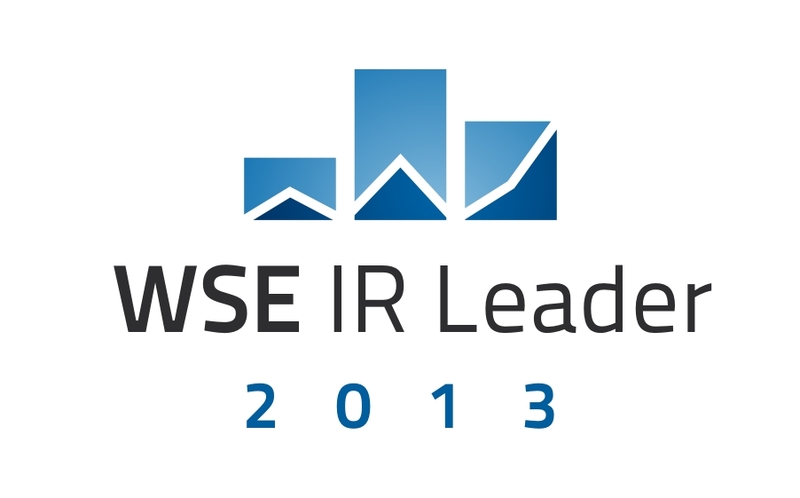 Global City Holdings has been awarded the " WSE IR LEADER 2013" for foreign companies listed on the Stock Exchange in Warsaw.The award was given for the best investor relations for foreign companies listed on the Stock Exchange in Warsaw. The award ceremony took place during the fifth edition of the conference organized by the Stock Exchange in Warsaw - "5th WSE International Companies' Forum".The competition organized in four steps in which assessed the websites, the quality of communications with the media, institutional and individual investors.The jury which evaluated the companies was comprised of representatives of Warsaw Stock Exchange, the Association of Listed Companies, the Association of Individual Investors, the Chamber of Pension Fund Companies and Gazeta Giełdy Parkiet. 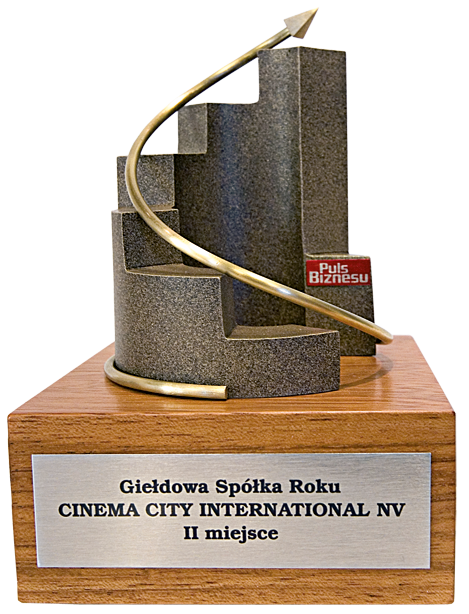 The website of Cinema City International NV wins The Golden Website 2010 contest in the category “Foreign Company”. We received the award on October 1, 2010 during the ceremony of the Congress of the Polish Association of Listed Companies. We were awarded by the Chapter of the contest chaired by Mr. Ludwik Sobolewski – the President of the Warsaw Stock Exchange. The main aim of the Golden Website contest is to promote websites as user-friendly, efficient and a modern means of communication between companies and their investors, shareholders and business environment. 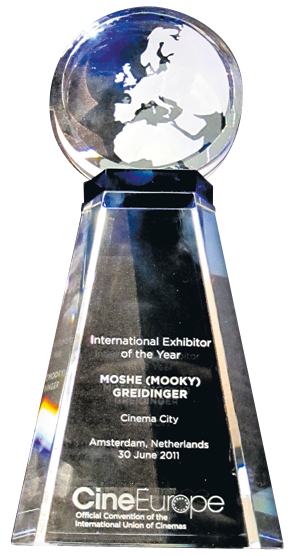 In March 2004, during cinema industry convention ShoWest in Las Vegas Cinema City International received the prestigious award - International Exhibitor of the Year. - We believe that creation of modern cinemas meeting the highest technical standards supports our main principle according to which "Cinema City is the best way to see a movie." The prize for the best cinema operator in 2004 is proof of our success - said Moshe Greidinger. ShoWest is the biggest meeting of the cinema industry. In annual international conference attend cinemas operators, film studios and other companies which are professionally engaged in technology, cinema equipment and sells of cinema theater space. ShoWest is not only a conference but also a place where are exhibitions of companies from the film industry.